Created in Detroit by Armen Boladian in december 1968 serving up R&B, Soul, Funk and then Disco. This independent label gained success with popular groups like Funkadelic and Ohio Players before disappearing, due to financial troubles, at the end of the 70s. Between 1970 and 1975 Westbound had a distribution deal with Chess / Janus Records. Between 1975 and 1976 Westbound was distributed through 20 Century-Fox Record Corp.
From 1977 to 1979 Westbound was distributed through Atlantic. In 1983 Westbound had a joint release with Elektra Records. 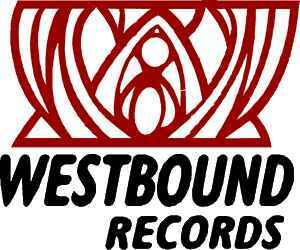 From 1969 to 1976 the primary label name on releases was Westbound Records. From 1977 to 1983 the primary label name on releases was Westbound. At the beginning of the 90s the UK-based Ace Records began reissuing all of Westbound's catalog (as well as unreleased material), again under the primary label name of Westbound Records.